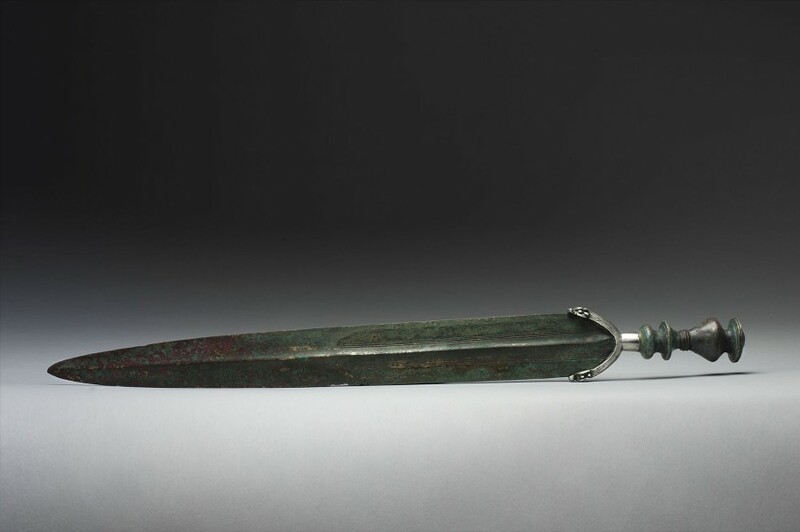 This highly intricate and impressive sword most likely belonged to a high-ranking official or member of society. Luristan, a mountainous region, famous for its bronze-smiths, encouraged a voracious appetite for luxury items, particularly weaponry. The tapering blade modelled with a single, central broad rib, runs from the hilt to the tip. 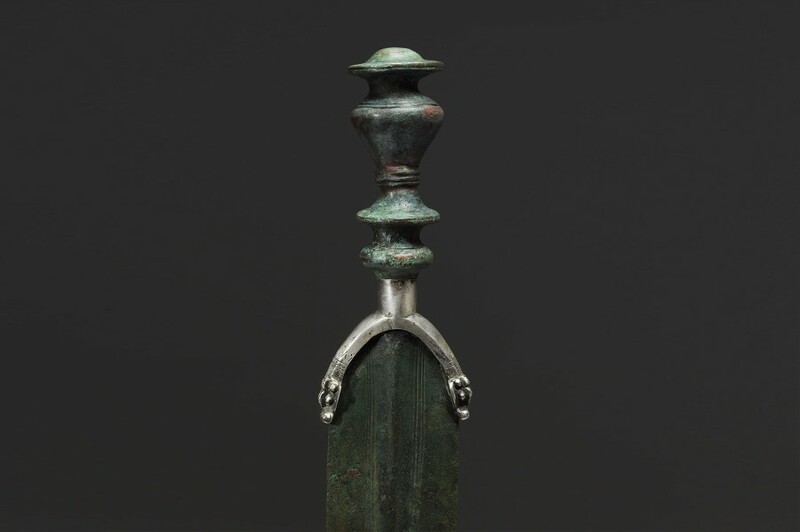 The half-oval shape of the guard fits smoothly over the blade, and attaches it to the smoothly undulating form of the hilt; two ibexes in silver attached to the blade, suited for comfortable use in the hand. The pommel is comprised of a flat disc, with a small rounded buttress at the central point. The deep green patina of the bronze makes this sword particularly striking, and the smoothness of the material highlights its excellent state of preservation.